The original Tomb Raider games we're fun and offered PlayStation players one of the best playable female protagonist characters with Lara Croft, an adventurous, dual pistol wielding explorer who could take on bears, dinosaurs, and mercenaries. Ever since the PlayStation era of Lara, Crystal Dynamics has had a hard time creating a Tomb Raider title that was both critically and commercially successful, and many thought the series would simply fade, especially since Uncharted has been on a role since it's debut. 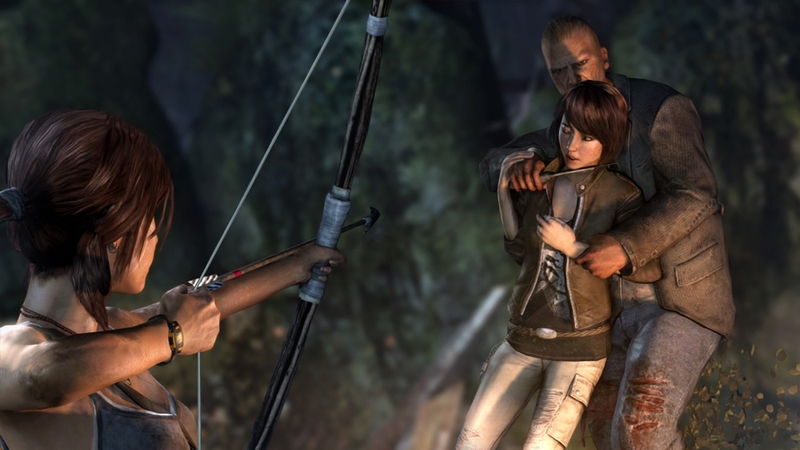 Once E3 2012 came around though, Crystal Dynamics showed off a reboot of the franchise, that had a younger Lara fighting for survival on an island full of threats. Fast forward to now, this new imagining of Lara Croft has turned into an early 2013 game of the year contender. 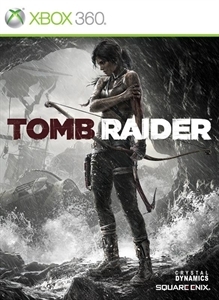 The roughly 8 hour campaign of Tomb Raider has Lara traveling across a mysterious island full of danger after she shipwrecks alongside her expedition crew. The initial goal is to reach the others and signal for help, but once she encounters the locals, she finds herself in the fight for survival, as well as uncovering the true mystery of the island. The game is very well paced, and contains a nice blend of combat, exploration, and treasure hunting as Lara attempts to find out more about why the locals have been so hostile. 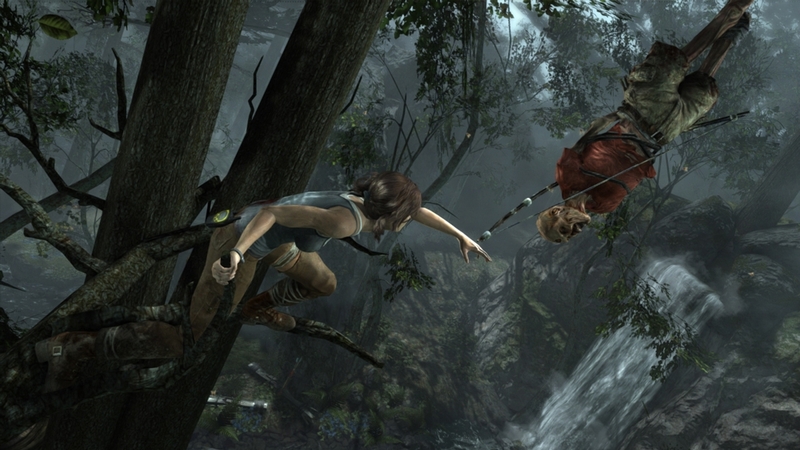 The first few segments of the game are very cinematic, with controls mainly being used for navigating Lara through the beginning caves, and frequent button prompts used to fight off attacks and escape tight spaces. After this brief area of limited control, the game fully opens up as you follow the path of locating your friends. 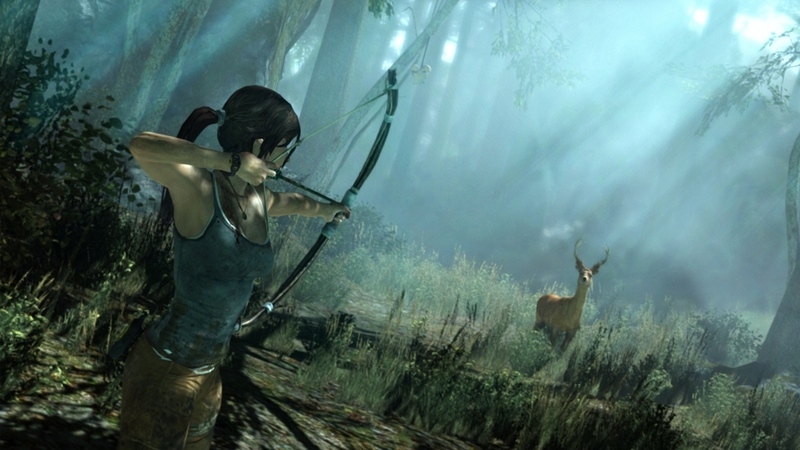 One of the first useful tools the Lara finds is the bow, and this allows for silent kills, as well as being used as a tool to perform silent takedowns on enemies. Weapons are later found, and the shooting aspects to this game are great, but I always found myself using the bow as my primary tool of destruction. Shooting combat is something that most third person titles have, and Tomb Raider has position itself at the top of the heap in that aspect. When near cover, Lara will automatically duck down at utilize the structures around her to avoid enemy bows and gunfire, and you're able to switch sides of aiming to best attack enemies. This makes for some really great action sequences that perfectly compliment the exploration elements of the game. As you make your way across the Island, you'll find campsites that serve as saving locations, as well as offering the ability to fast travel to previous sites and a place to check your found treasure and upgrades. The tools the Lara finds can be improved, as well as Lara's techniques, so you'll really be able to feel true progression in the game. It's also pretty neat to see, because the changes will be reflected on Lara's items since they are viewable in her holsters and back. The main way to upgrade items comes from finding salvage in the environment, so actively looking for them will help when facing more challenging enemies later in the game. Aside from the impressive visuals and gameplay, Lara Croft is of course the true star of this game, and she is reborn in a great way thanks to the acting talent of Camilla Luddington. This is a different Lara from the other titles. 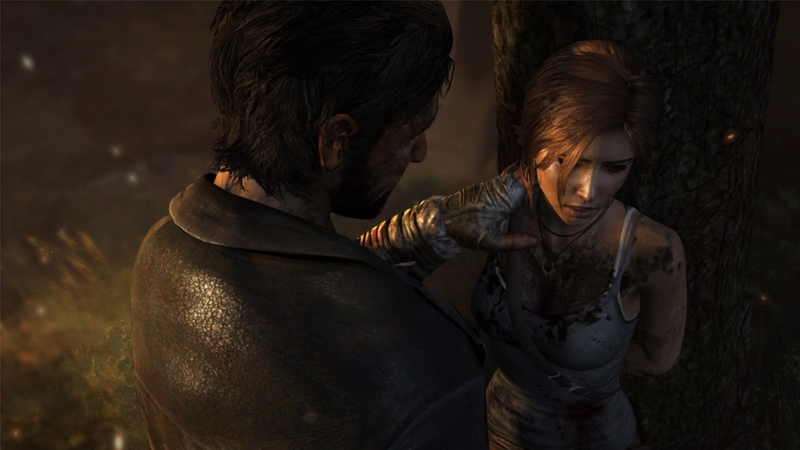 This is a vulnerable, scared Lara who has to summon up her inner strength and the courage of her mentor to survive the harsh island, and you're able to feel this pressure as she makes her way across the game. I enjoyed everything about this game, but I felt the multiplayer was not on par with everything else that Tomb Raider provides. The main premise of multiplayer is mainly two modes of team deathmatch and team rescue where players have to fight to secure or destroy medkits. 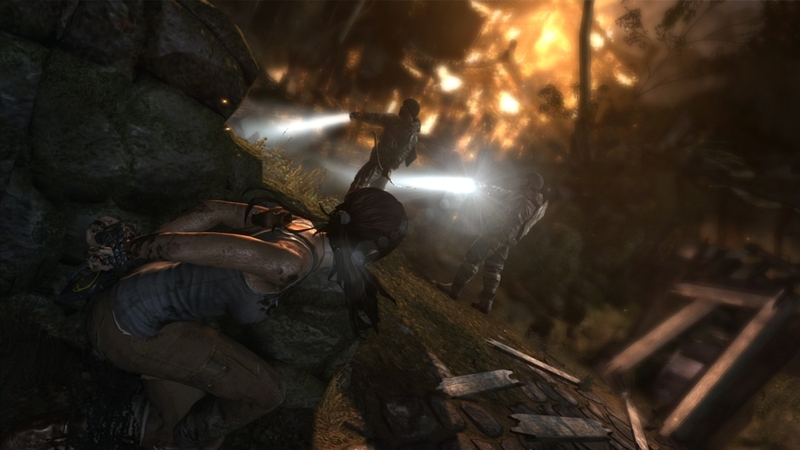 Players control either the enemies in the game, or Lara and her allies throughout the story. There's the typical ranking system and loadouts that new games bring, but everything just feels plain. I also encountered a high number of players who would leave the game, forcing the game to constantly find a new host, which slowed down the game a few times. 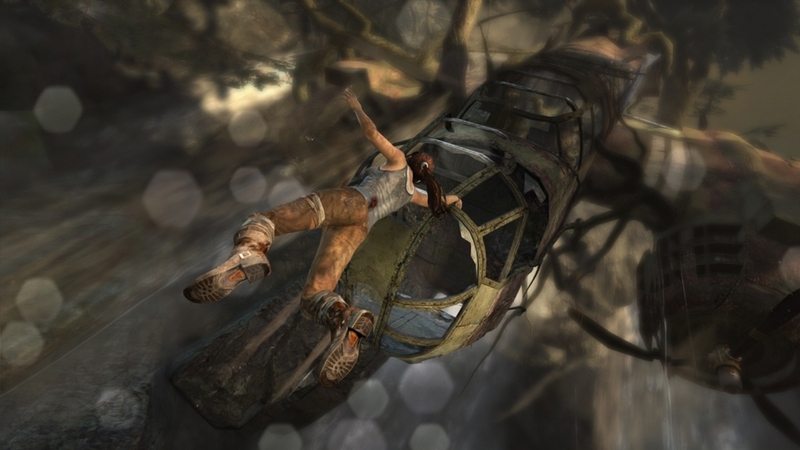 Tomb Raider is great game and it fully revitalizes interest in the controlling the classic heroine. This new game is a must play for anyone looking for a well paced, polished action game. "Armed with only the raw instincts and physical ability to push beyond the limits of human endurance, Tomb Raider delivers an intense and gritty story into the origins of Lara Croft and her ascent from a frightened young woman to a hardened survivor."